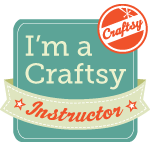 Mimi Dietrich is a nationally known teacher and the author of 17 popular quilting books, including Martingale & Company‘s all-time bestseller, Happy Endings. Her books have sold over a half million copies to date. A quilter since 1974, Mimi is one of the “Founding Mothers” of The Village Quilters in Catonsville, Maryland and the Baltimore Applique Society. She teaches quilting classes in the Maryland area as well as nationally.